Madam Speaker. I object the motion. The Workers’ Party is proposing an alternative model – one that is based on a dynamic population for a sustainable Singapore. What is a sustainable Singapore? Reading through the white paper, I get a sense that Singapore is a large factory. We need 2-5% annual economic growth. Our local workforce will shrink due to ageing and fertility issues. To achieve the targeted economic growth, the paper worked out that we need 1-2% yearly increases to our workforce. Based on that, Singapore will receive large number of immigrants. It could bring our population to 6.9 million within the next 17 years. There will be a population increase of up to 30% in an already congested Singapore. Most of us in this House will still be around 17 years from now. It will be a situation that we ourselves will face, not just our children and grandchildren. If we are just Singapore Inc. a business that looks coldly at hard economic data and at the bottom line, the above sounds logical. However, we are not a business. We are a country, a nation. I grew up learning to be proud of my country. Proud to be called a Singaporean. I was born here in the year of our independence, studied entirely in our local schools and went through national service like all Singaporean males. In school, we had programmes that made us feel proud of this little red dot, proud to be part of a free and independent nation. When I travel overseas, I am happy to identify myself as a Singaporean. The first pillar of the white paper states that Singaporeans form the core of our society and the heart of our nation. I agree with this statement. But who is a Singaporean? The paper projects that there will be 3.7 million Singaporeans in 2030, forming roughly 55% of the population. I have two problems with this. My first objection is that 55% will cross the psychological 60% threshold of citizens forming our population. This is a line that is not crossed by the global cities we are comparing ourselves against, including New York and London. The percentage of citizens in our population has steadily declined from 74% in year 2000 to 62% today. It will further decline to 55% by 2030. Will it go below 50% soon? My second objection is who the paper defines as the Singaporeans that will form our core. We had 77,000 new citizens added in the last 4 years alone, an average of over 19,000 a year. Already, many local-born citizens are uncomfortable with this pace. The paper provides for new citizens growth to be as high as 25,000 a year. With current annual citizen birth rate of 31,000, this means that up to 45% of citizens added to the population yearly will be foreign-born. Madam Speaker, I am not against foreigners who wish to become Singaporean. Truly integrating them to become Singaporeans as we know Singaporeans to be, will be take time. To integrate, the foreigner has to spend substantial time here and should make genuine effort to understand our way of life and speak our language. How fast can we make that happen with adult immigrants? We are already facing many integration issues in Singapore today. Various enclaves with majority of residents from specific countries of birth have sprung up. New citizens often bring their parents and families along, many of whom do not speak English. They live amongst us daily. We may have 3.7 million Singapore citizens, but just over 3 million will be local-born. This means that as low as only 45% of our population in 2030 could be local-born. True-blue Singaporeans will become the minority here. What would become of Singapore’s culture? Whose culture will influence whose? Singapore only established the National Integration Council in 2009, four years ago. Our programmes for integration lag behind those of our countries and cities. In other multicultural immigrant countries like Australia, Canada, and the USA, immigrants have to show that they are integrated before they get citizenship. Ability to integrate should be a key consideration to grant citizenship and not as an afterthought, after giving citizenship. Madam Speaker, I have a tale of two videos – two widely watched national day videos last year. The first is the government’s official video, showing beautiful buildings, magnificent skylines, luscious gardens and beautiful homes. The second is an informal video made by teachers and students of a college. It speaks of the heart of the people, what makes Singapore Singapore: HDB flats, children playing together in a humble playground, getting stuck in traffic jams, being packed in MRT trains, coffeeshop scenes and more. The first showed beautiful hardware, like the infrastructure in this Land Use Plan. The second speaks to our hearts, loving Singapore in spite of the problems we face. It is getting Singaporeans to love Singapore for what it is, loving the mix of people in our midst, loving the common things that we do every day. The white paper has proposed a lot of infrastructure. Yes, it is important to have good infrastructure. Beyond the hardware, we need to build a strong Singapore core that share common values, worldviews, culture and a sense of identity. These can only be cultivated over time. Taking in too many new citizens too fast will only give us a false sense of complacency that we have a Singaporean core when we actually do not have a strong one. Before we open the floodgate for new citizens, we have to learn how to integrate new citizens properly. True integration is difficult. The pace needs to be more manageable. Anecdotally, a pace of around 10,000 a year, which was what Singapore had before 2005 is perhaps more sustainable. Our immigration policy takes into account factors such as the individual’s family ties, economic contributions, qualifications, age, family profile, ability to contribute and integrate into our society, and commitment to Singapore. How exactly are these factors being computed? Can we have a more transparent point system like that in other countries? I ask this because all MPs must have seen many people during their Meet-The-People sessions to appeal for LTVP, LTVP+ and PR for their foreign spouses. Some have been married for years to Singaporeans and have Singaporean children, yet they continue to be denied PR and sometimes LTVP+. We were often not told why in the rejection letters. Next, I wish to touch on increasing TFR. Challenging as it may be, increasing our TFR is still the best way to sustain a Singaporean core. My party colleagues have made various suggestions earlier. I would like to focus on education and childcare. These can influence young couples in their decision to have children or have more children. Yesterday, Minister Grace Fu said the National Population and Talent Division (NPTD) is working with MOE to reduce stress and provide holistic education for students. I am glad MOE wants every school to be a good school. However, MOE is struggling against many of their entrenched policies that have added unnecessary stress and cost to education. The primary 1 registration gives priority to alumni, to those living in the immediate vicinities of schools and to parent volunteers. Getting children into what parents perceive as good schools is a stressful process. And while MOE tells parents that every school is good, parents know which schools are better. From MOE’s data, we see that the results achieved by students at PSLE are vastly different across schools. Two days ago, we were told that median 2012 PSLE T-scores in schools range from 160 to 247, reflecting a wide difference in standards. So parents try very hard to get their children into what they perceive as better schools. Unnecessary examinations such as for giftedness add to parents pushing their children hard right from entry into primary schools. Secondary school admission is almost entirely based on the T-score achieved at the PSLE. Today, secondary schools and academic streams are highly differentiated. Students are sorted into schools of different status and into different academic streams. Parents push children hard at high stake examinations to get them into desired schools or avoid certain academic streams. Often, they take work leave to coach their children. Even Minister Grace Fu has said that she took leave to coach her children for the PSLE. Some get so exhausted in the process that they decide not to have more children. Many parents have deemed it necessary to get private tuition for their children. A Sunday Times poll 5 years ago of 100 students showed that 97 of them had tuition. The situation is no better today. Parents even send children for tuition to hope to enter gifted education, because GEP provides the Direct School Admission advantage into top secondary schools. While some level of stress is healthy to keep students diligent, many parents have cited stress in our education system and the high cost of tuition as important factors for not having more children. We are often told that Singapore parents are kiasu. I believe the system has made them so. I will elaborate on future occasions when I make proposals for the education system. Next, infant and child care are important for young parents. Last month, the government announced a slew of goodies in this area. I welcome the fact that the government is willing to put more money into the industry. I had made various proposals in an adjournment motion on childcare last year. While a lot more money is now added, there is no change to the structure of the industry, which I consider is flawed. It is flawed because the industry is left to private market mechanisms. This is made worse by hugely disproportionate government support for a small number of anchor operators that gives them incredible advantages over other players in the industry. I fear that the monies injected will inflate rents and fees. We had seen that before. In 2008, the government doubled monthly subsidies to working mothers. Fees quickly went up after that. Under this new subsidy framework, the situation will be worse for higher income families. Those with near to or above $7,500 in monthly family income will get little or no additional subsidies. Private market forces will escalate fees. These parents will end up paying more for child care. I hope MSF can consider making child care as a public good, with open competition for all and with fairer support for all operators. MSF is already spending a lot of money on infant and child care. Reforming the industry may be a smarter and more efficient way to achieve affordable fees and high quality services with the same money. It will take away the uncertainty of child care cost for young parents. Next, I like to deal with issues raised by some PAP MPs. Dr Amy Khor has said our proposal will hurt businesses. Ms Jessica Tan asked if we had read the new reports that businesses are planning to leave. Yes, the economy will go through some pains but it is simplistic to say slowing the manpower growth is what kills businesses. I know of businesses that have been killed not by lack of manpower, but by high rentals. The government’s policy on industrial land for example has caused huge spike in rents and land prices. Companies that need transport find it hard to afford vehicles due to high COE prices. The cost of many items has gone up. These are in part due to government policies and the overcrowding of Singapore. The government certainly has scope to re-examine its policies and to see how else it can help businesses restructure in times like this. Mr Inderjit Singh has called our proposal zero growth. Our proposal is not zero growth. Our GDP projections are just 0.5-1% lower than the government’s. GDP growth of 1.5 – 3.5% is decent by the standard of matured economies. We have a 1% increase in residents workforce. PAP MPs have painted us as turning off the tap, as if leaving businesses to dry up. This is an incomplete picture. The tap leads into a plugged sink that is already filled with quite a lot of water. There are 2.1 million residents and 1.3 million non-residents in our workforce. We have 2 taps. As foreigners leave for whatever reasons, we turn on the non-resident tap to fill it back up. We try to get more out of the resident tap by increasing it at 1% per annum. If the resident tap cannot fulfil that, we turn up the non-resident tap. We are not leaving the sink dry. In contrast, the government needs to be reminded that the sink is quite full. Having the taps on too fast may flood Singapore with a population we will struggle to manage in the future. We have studied the population data. You can see from our projections that by managing both taps, there could be an increase in population to 5.8 million in the worst case. This GDP trade-off will allow a more sustainable population growth of at most 500,000 people over the next 17 years. 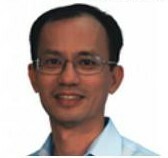 Lastly, Mr Vikram Nair seems fascinated with the way we run our Aljunied-Hougang Town Council. He is welcomed to visit us. He said he is interested because he wants to know how the WP will run this country if we are in power. He wants to know how we use foreign manpower. I believe Mr Nair has forgotten that we are elected by the people to be in this House to establish policies and make laws, not to run businesses. This is precisely the problem I spoke about in my maiden speech in this House, that our government runs many big businesses across our economy. When the government is itself a big vested player, and in fact the single biggest player in the economy, it will itself take a lot of pain when the economy is restructured hard. Mr Nair may like to know that the WP is interested to get policies right for the people of Singapore and not to run businesses, whether with foreign or local staff. In conclusion, PAP MPs spoke of the pain to SMEs with our proposal. I should know. I have owned and run private companies for the last 13 years. Yet, I am also reminded that I am a father to three children. I think of what Singapore will be like for them and their children 17 years from now with 6.9 million people. I think of what Singapore will be like for all of us when we ramp up our population so fast, leaving just 4% of our land as reserved space. Would we reach a population cliff by 2030? Singaporeans are told that there are trade-offs. We are told that a population of up to 6.9 million may be required because this government believes we need 2-5% economic growth yearly. Unlike the government, we present a model for sustainable growth, more consistent with fostering a strong Singapore core. If there’s a trade-off, are Singaporeans given any choice? Perhaps there is an overwhelming majority of Singaporeans who do not wish to become the minority in their own country? Perhaps Singaporeans will rather make do with a more manageable growth to keep their birthrights? We had already moved too fast in the past eight years. The decisions made today cannot be reversed. We will sooner or later face the constraint of our land size. If this government moves too fast again, what will be left to sustain future generations? I urge the government to reconsider its plan and opt for a more manageable growth that will allow us to keep Singapore as the Singapore we know. Madam Speaker, I oppose the motion.